It's one of several festive treats available at Revolution Hall until New Year's Eve. If you&apos;re looking for the most indulgent treat this holiday season, you&apos;re likely to find it at Rosedale Center. That&apos;s because PieCaken Bakery, the layered pie makers who recently opened in Rosedale&apos;s Revolution Hall, has launched a new festive confection in time for Christmas. Called the PieLogen, it&apos;s a three-layered cake that comprises one layer of toffee pecan pie, one of eggnog cheesecake, and finally a chocolate caramel Yule log "all stacked together like a tree stump." The show (and heart) stopping pie is available for pickup from Revolution Hall between now and Dec. 31, costing a rather pricey $85, or $99 to deliver by Goldbely. It&apos;s one of several festive cakes created by PieCaken creator Zac Young, with others including the Luxardo "Old-Fashioned Cheesecake" – a caramel cheesecake with a hint of bourbon and orange, Luxardo cherries, and a glaze of caramel and bitters. This is also available for pickup or delivery. 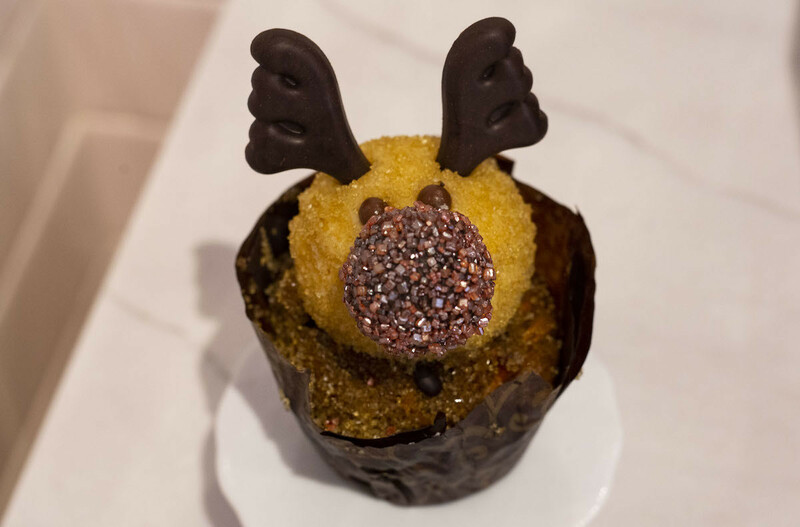 On the smaller scale, yule be able to try out PieCaken&apos;s "Rudolph PieCupen" at Revolution Hall – a carrot cake with caramelized pineapple and cream cheese frosting, decorated with antlers and a truffle nose – and its eggnog macarons. PieCaken Bakeshop is the first brick-and-mortar location of celebrity chef Zac Young, who previously only offered his cakes online or for pick-up in New York. If the PieLogen doesn&apos;t appeal, you can still pick up the famous PieCaken, which is a cake layered with pecan pie, pumpkin pie, spiced pound cake and apple pie. PieCaken, the dessert version of 'turducken,' went viral last year. The Roseville mall is really stepping up its game. Von Maur launched without fanfare on Monday. This is one Wisconsin invasion we can get behind! The restaurant and sushi bar opens this month.